Aye, damper, now there's the rub, eh? i like to smoke my meat over a bed of burning fireworks. strontium and copper nitrate really give your meat that extra kick. i relish a good story. how sir-how do you know its true? Depending how long the pizzas take to bake I may have to adjust/ cut the height of the tomato cage stand. 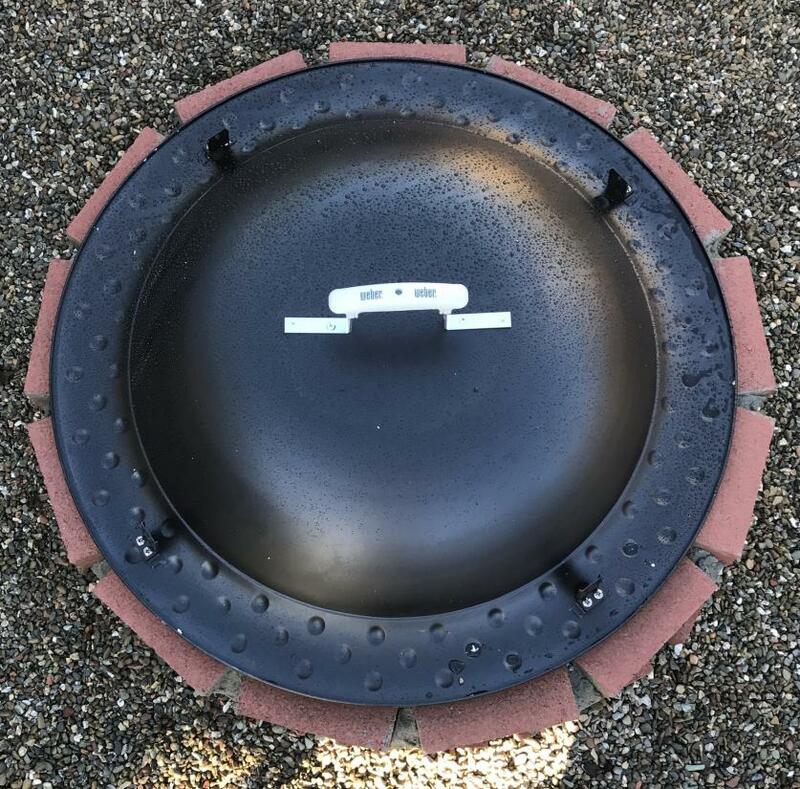 I'm guessing that would be my only mod besides an adjustable vent / chimney for the lid. I'll see how it goes first before making any changes. Edited by SavinaRed, 27 November 2016 - 12:42 PM. Here are a few pics . 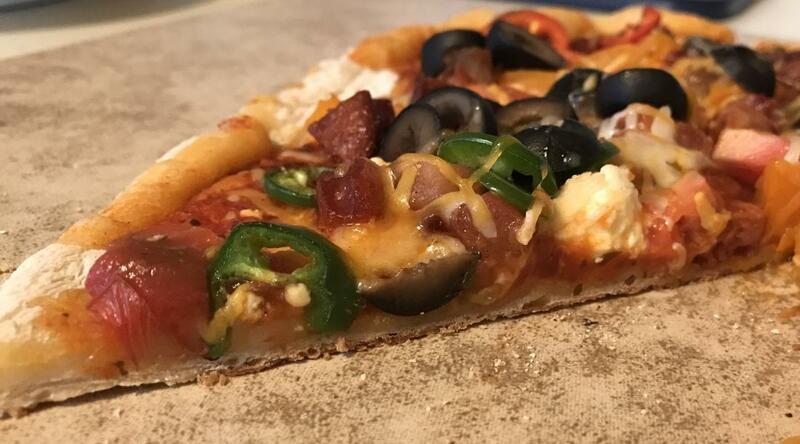 The average pizza took 7-8 minutes so I eater need to lower it or use more wood to get it under 5 minutes. But the crust came out perfect on the Lodge cast iron. that looks like pizza to me.
" get it under 5 minutes." For why? If you're getting a perfect pizza in 7-8, are those 2-3 extra minutes detrimental to success? 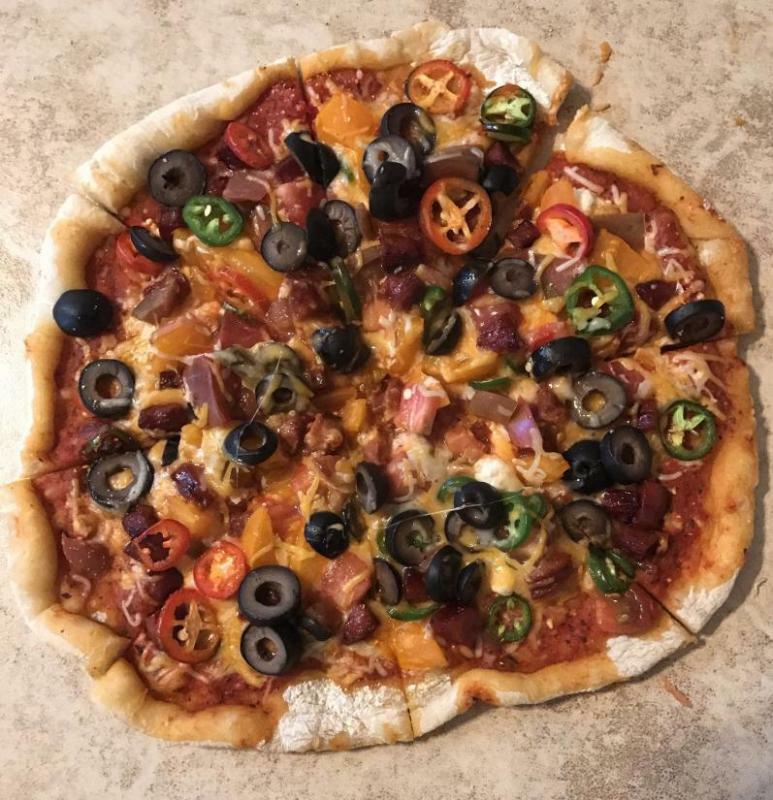 I know its just those "real" pizza ovens do it in 2-3 minutes lol. 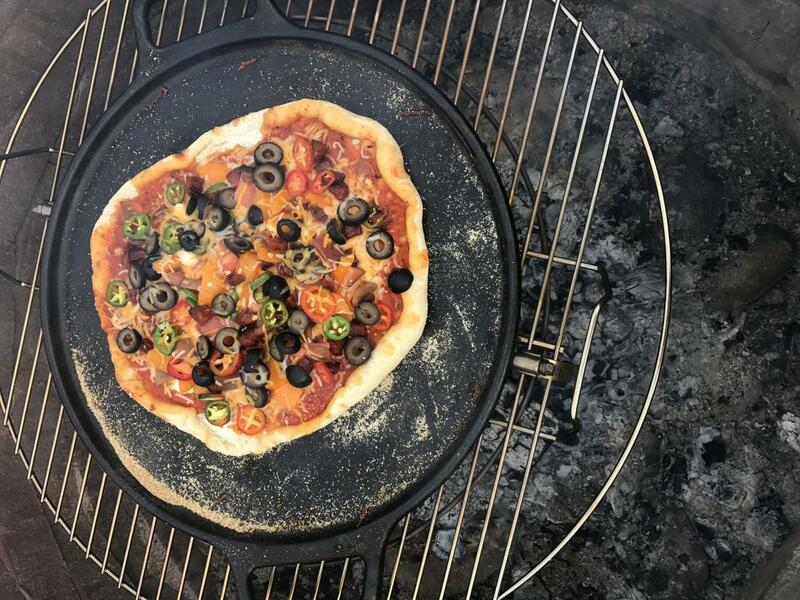 I made 8 pizza's on my kamado grill on Saturday night and those were under 5 minutes but I cracked my pizza stone hence I used my CI pizza stone on my fire pit on Sunday. 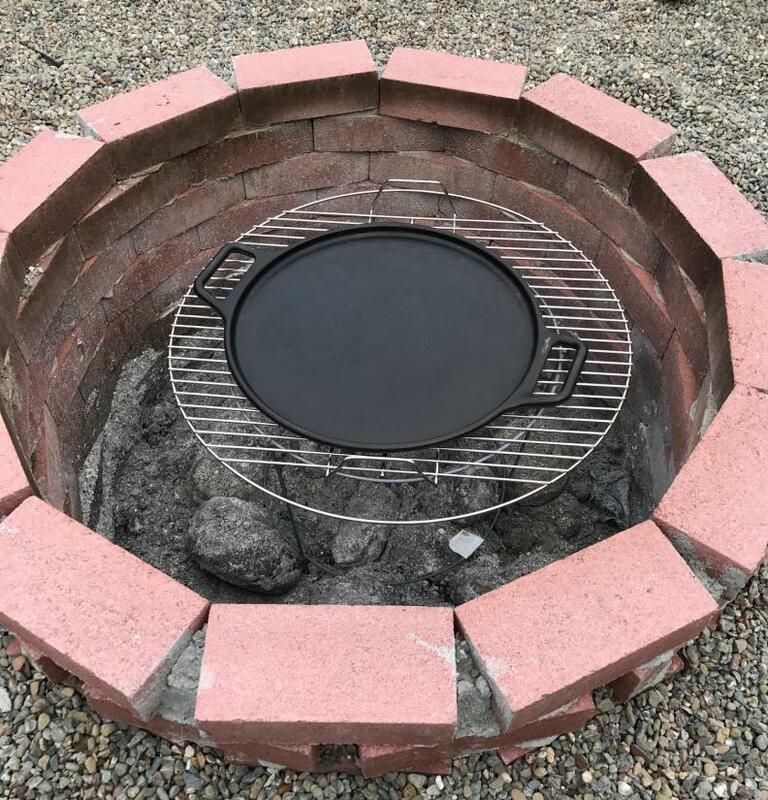 So instead of getting another pizza stone replacement I'm going to get some clay bricks to use on the kamado and those will not crack. Edited by SavinaRed, 28 November 2016 - 10:39 AM.